Ambition brings us 16639/70 PORSCHEBOW. 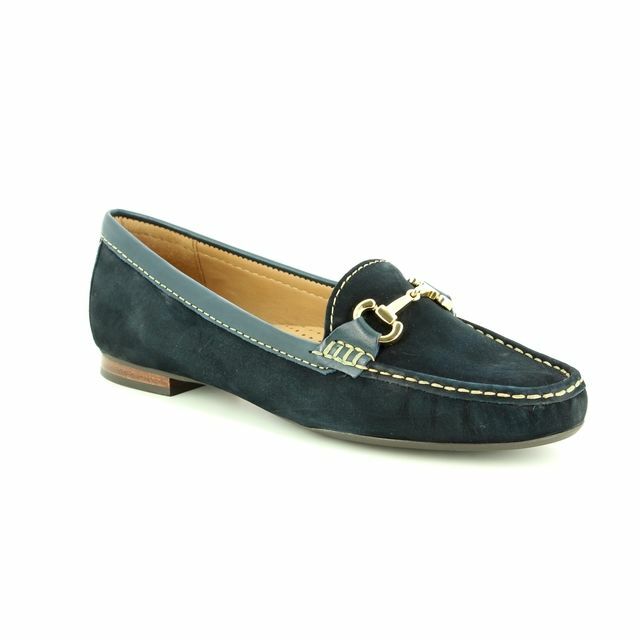 These beautiful navy moccasins are a stylish choice for the discerning woman. The upper is made from nubuck leather and is lined with a smooth leather for comfort next to your skin and a leather insole. Leather allows your foot to breathe naturally creating a healthier environment inside the shoe. The construction of a moccasin shoe allows for the upper to mould to the shape of your foot for greater comfort while wearing. 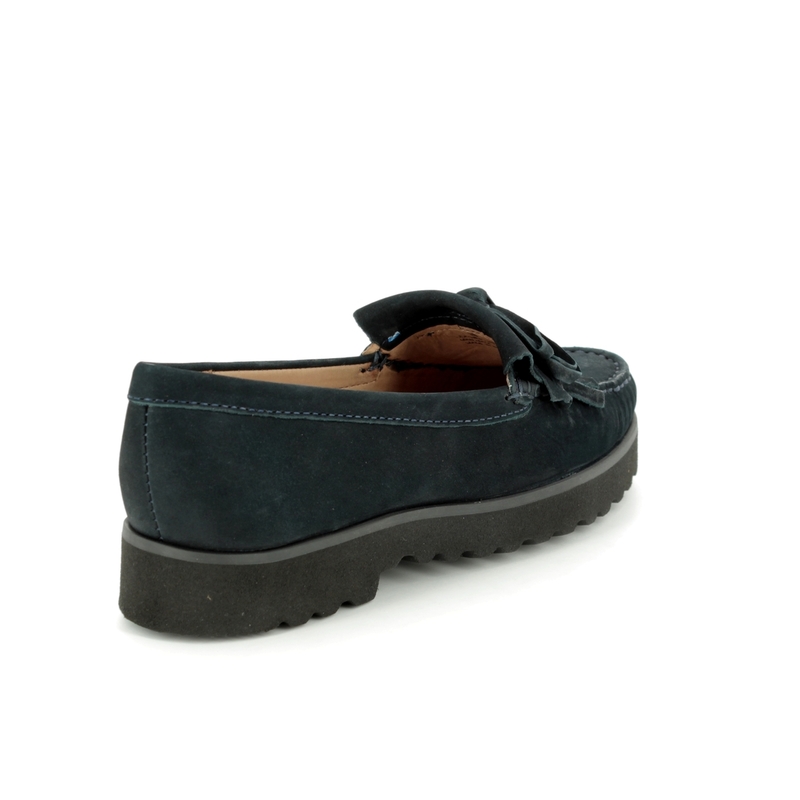 This moccasin has elements of a classic design with a fringe embellishment with a bow decoration over the toe. The sole is made from a durable manmade material and is grooved for greater traction when walking. The heel height measures 3 cm with the front platform measuring 2 cm. 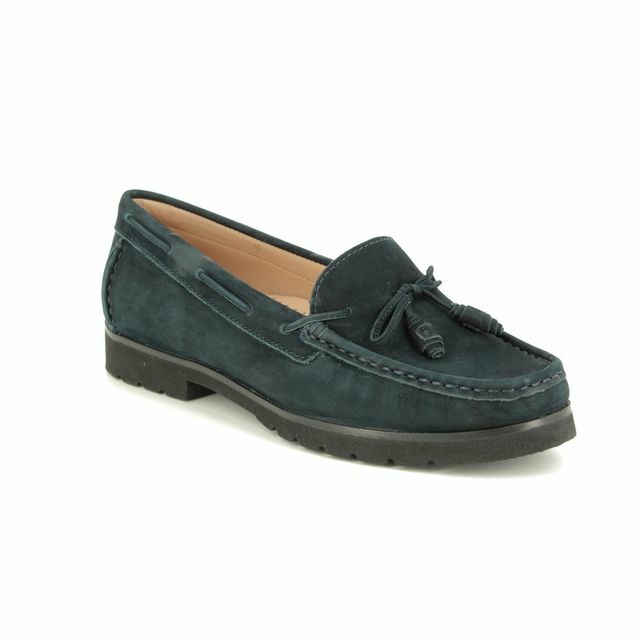 Buy your Ambition women's moccasins from Begg Shoes, an official Ambition stockist.